Are you ready to impress your family and friends with a quicker than normal recovery? 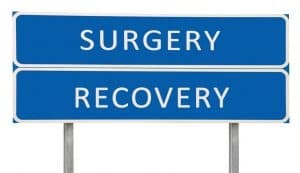 Resetting the nervous system after a major injury (yes, your nervous system will register surgery as an injury) is a great way to speed recovery from surgery. Is a family member or close friend your caretaker during your recovery? Consider including your family caretaker in the surgery recovery package. What a great way to say thanks! The laborious and sometimes tedious requirements of caring for a loved one during surgical recovery can be exhausting for the temporary caretaker. The caretaker’s back, shoulders, and neck will benefit from treatments that coincide with the patient’s surgical recovery phase. It is recommended that the Maintenance Package immediately follow the Surgery Recovery Package.